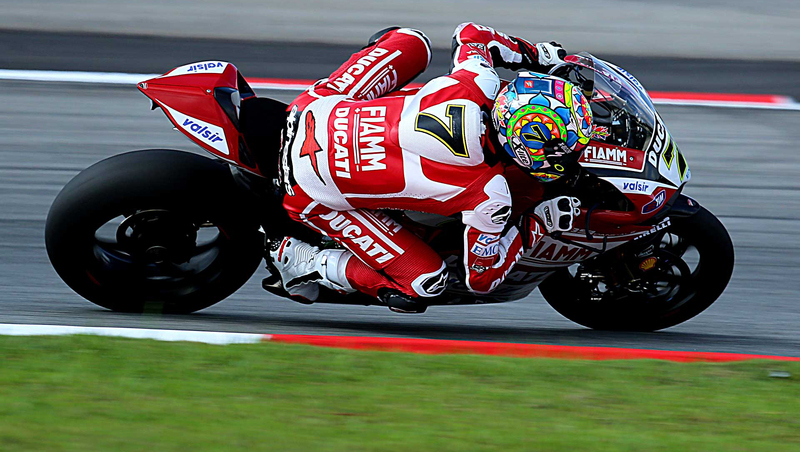 Motogear | MotoGP: Silverstone: Comebacks, Collisions and Champions! Last weekend was exciting to say the least; as the 12th round of the 2016 Motogp came to our home country! We at Motogear, were privileged enough to visit Silverstone and proudly watch as all our sponsored racers rode their way to success! What with it nearly measuring 6 kilometres in length, it’s clear to see that Silverstone claims the title of owning the longest racetrack in the whole of the MotoGP World Championship. Unsurprisingly, the weather can only be described as ‘typical British’, what with an overcast of clouds and frequent intervals of rain. Yet this didn’t deter the ability of our riders and it certainly didn’t disrupt all the exhilaration in the air- as there were lots going on. First of all, there was a succession of brilliant performances from our Nolan-Group riders; In Moto3, a determined Stefano Manzi produced a commendable comeback (ascending from 34th to 4th position) and Bastinaini finished in a respectable 7th place. Moto2 also delivered strong performances; Hafizh Syahrin boarded on podium-success but established an excellent 4th place, and in MotoGP, there was another top-ten performance from Danilo Petrucci (who came 9th). It was an eventful albeit unfortunate round for Five’s sponsored rider, Sam Lowes, who was soaring through every session full of podium-promise (he qualified at pole position on Saturday), yet Sunday’s race brought him an abundance of frustration that thwarted his potential homeland victory; with only 3 laps left to go, Lowes attempted to pass rival Johann Zarco in order to take 2nd lead, yet Zarco retaliated by making an ill-judged lunge into the corner and thus, knocked Lowes out of the race. This sadly destroyed his chances of reaching the podium. However, Lowes still remains 3rd in the overall championship-lead so let’s hope the next round of Moto2 offers him better fortune! 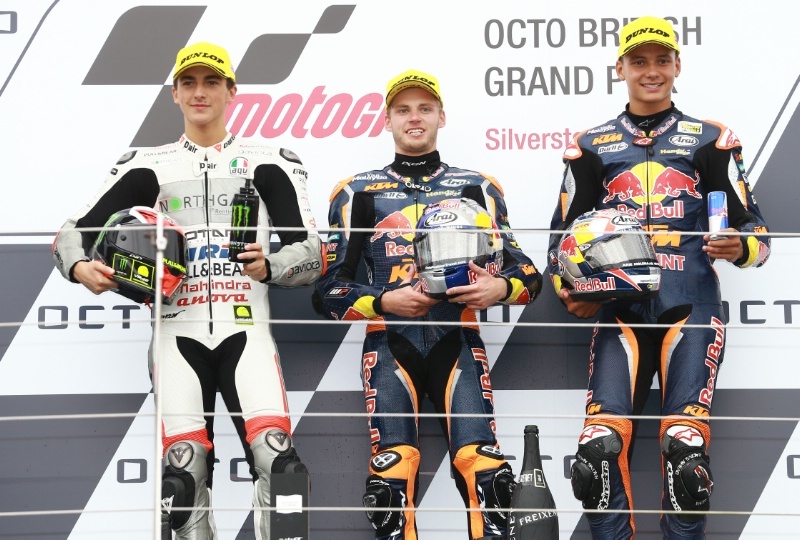 Amongst the weekend’s assortment of events, and could be suggested that Ixon’s Brad Binder stole the show, as the South African racer secured 1st podium thereby allowing him to take another step closer towards the champion title. Binder described the race as ‘insane’ insisting that it wasn’t an easy finish due to a combination of heavy wind and Manzi sweeping the side of him, Binder decided the safest place to be was within in the top 3 which evidently, was a good move! Next round is Nolan’s home race; The San Marino GP in Misano.